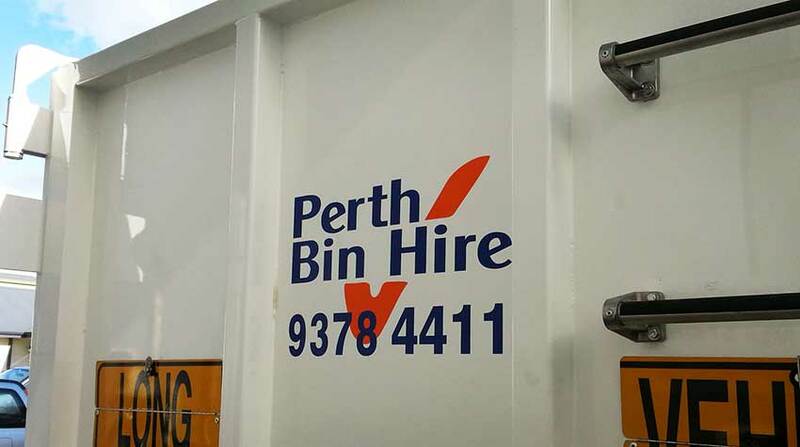 When creating signage for a fleet, Perth Graphics Centre is meticulous about colour-matching, materials choice and surface preparation. And fleet signage needs to be readable, too. 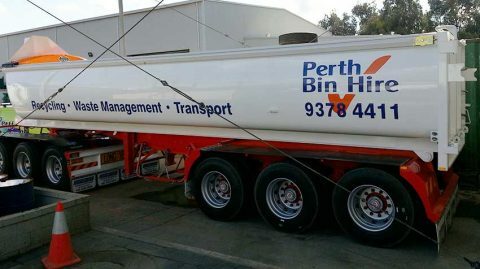 That’s why for Perth Bin Hire, we opted for a simple and bold approach. The lettering is done using cast vinyl, which is the best quality available in the industry. Ask any vinyl supplier which of their products lasts the longest and the answer will always be the same – cast vinyl. It’s a poured film, rather than stretched, so there’s never a risk of it lifting or curling up at the edges, which happens with cheaper films. All of our vehicle graphics are done with cast vinyl, whether it’s a simple door sticker or a complete vehicle wrap. Because of this willingness to go the extra mile, we often get customers comparing us with their previous sign companies and commenting that they’ve never had any problems with our graphics coming off. Previous suppliers, however, have had issues – this is why our customer retention is first class. It’s another reason to choose Perth Graphics Centre for your fleet signage needs – we’re always looking out for our customers. Please provide a price on various signage items listed below, we currently get these made by an online company but would prefer to support a local WA business and have the convenience of placing subsequent orders as we recruit new instructors. We would supply all artwork. Can you provide a price each sign and then a price for 2,10, 20 and 30.